Does it show love? 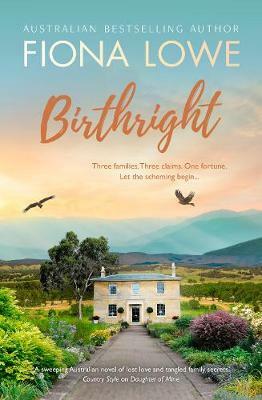 Margaret, the matriarch of the wealthy Jamieson family, has always been as tight–fisted with the family money as she is with her affection. Her eldest daughter, Sarah, is successful in her own right as a wife, mother and part owner of a gourmet food empire. But it’s not enough to impress her mother. Always in the shadow cast by the golden glow of her younger brother, Sarah feels compelled to meet Margaret’s every demand to earn her love. Does it give security? After a poverty–stricken childhood, Anita has claimed the social status she’s worked so hard to achieve by marrying Cameron Jamieson. Although they have a comfortable life, she’s never able to fully relax, fearing everything could change in a heartbeat. Or does it mean freedom? Ellie, the youngest, has lived a nomadic and – according to her siblings – a selfish life, leaving them to care for their ageing mother. For her, freedom means staying far away from the strings attached to her inheritance, but she needs to consider her young son’s future as well. As their mother’s health deteriorates, will long–held secrets and childhood rivalries smash this family into pieces?